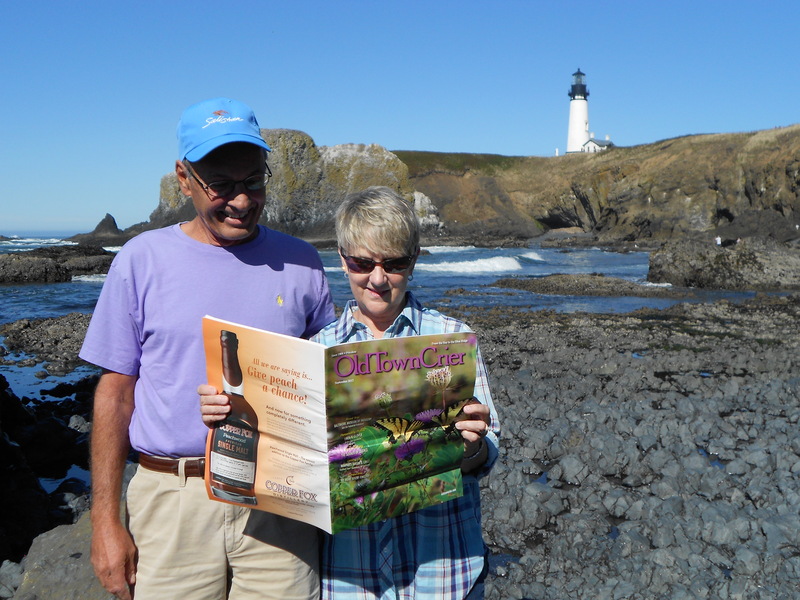 Annie Kroenlein Ruller and her husband Ric celebrated their 35th Wedding Anniversary with a trip along the Oregon Coast and a relaxing stay in a beach house just a few miles south of the Yaquina Head Lighthouse in Newport. Pictured here with the lighthouse in the background, they tell us that they saw lots of gray whales and sea lions in the area and several beautiful sunsets. The Rullers are from Littleton, Colorado are longtime subscribers to the OTC.